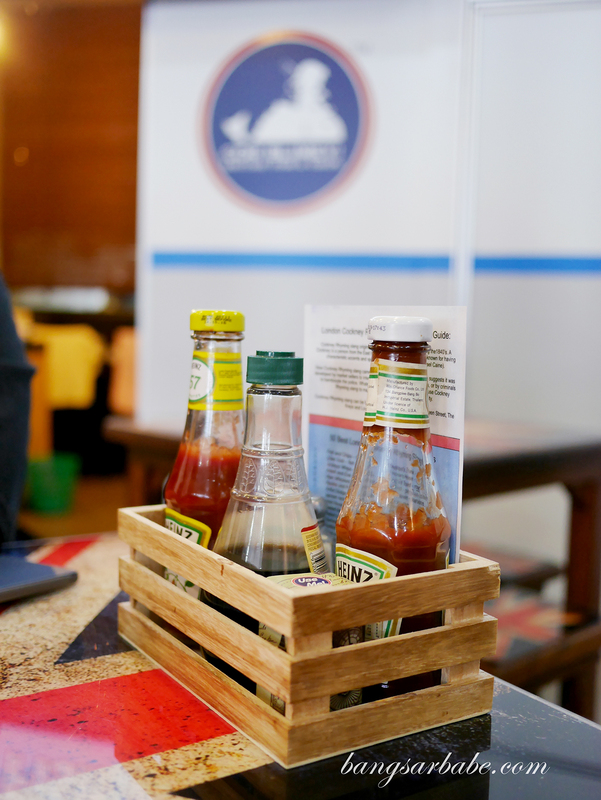 Fish and chips were one of things I’d often eat during my time in the UK – an English staple food available in most restaurants, cafes and pubs. I love mine with plenty of malt vinegar and a dollop of mushy peas at the side. It’s also one of the cheaper meal alternatives for students on a budget like myself. 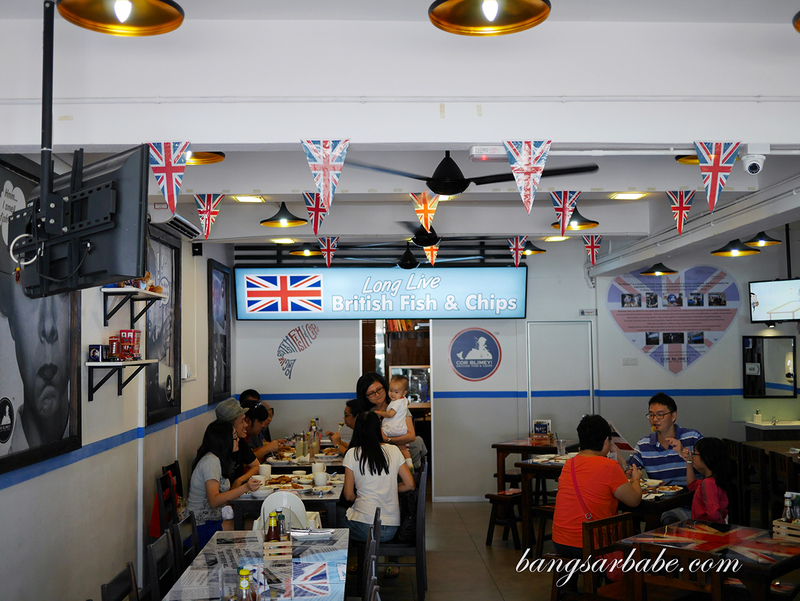 Back in KL however, good fish and chips is hard to find. I’d actually given up on eating them because the batter is often too thick and the mushy peas, awful. 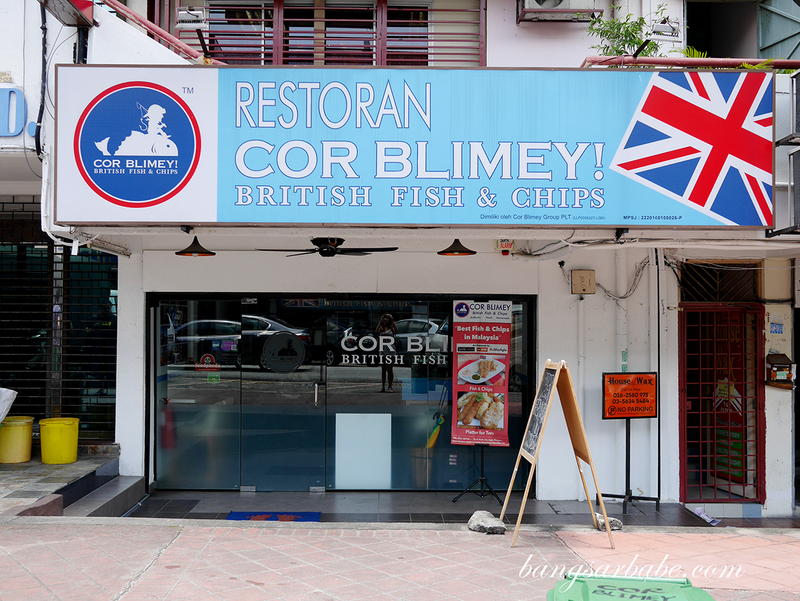 Cor Blimey in SS15 Subang Jaya looks like a potential fish and chippery – the menu is quintessentially English and malt vinegar is spotted on each table. 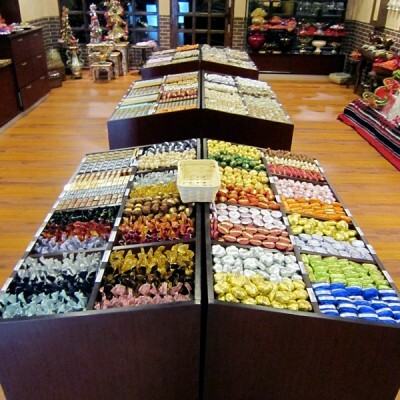 Sauce rack. 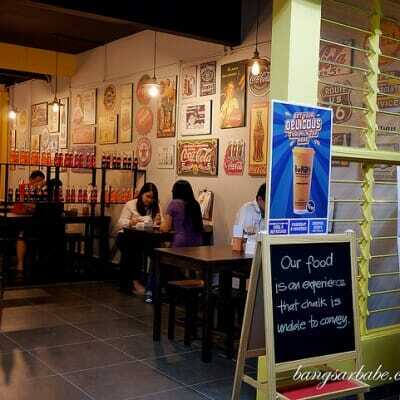 Spot the malt vinegar! 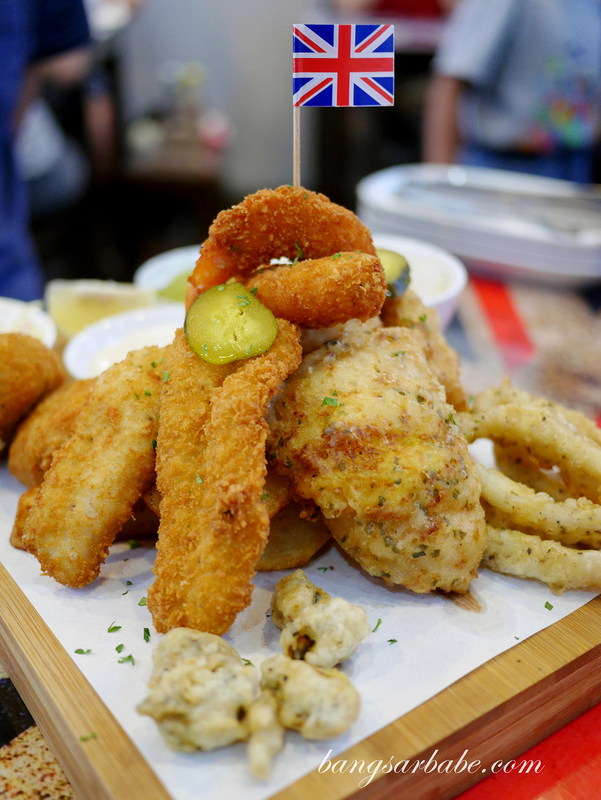 We opted for the sharing platter for 2 (RM59.90) which gives you dory fish fillets, tiger prawn scampi, mussels in batter, calamari rings, fish fingers, fish cakes, homemade chunky chip and garlic butter rice. 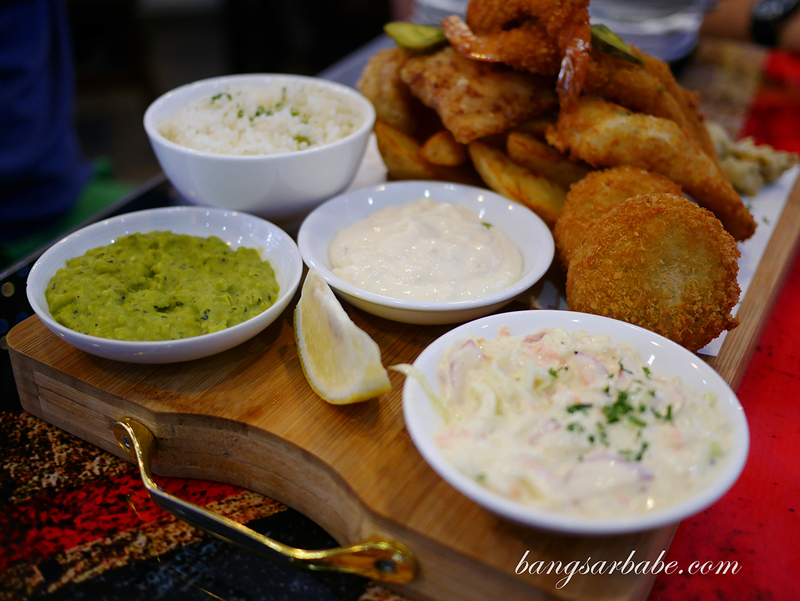 You get to pick the batter of your choice for the platter – I opted for lemon & herb and onion & garlic. Personally, I would have preferred for my fish and chips to be beer battered but Cor Blimey doesn’t serve pork nor alcohol. 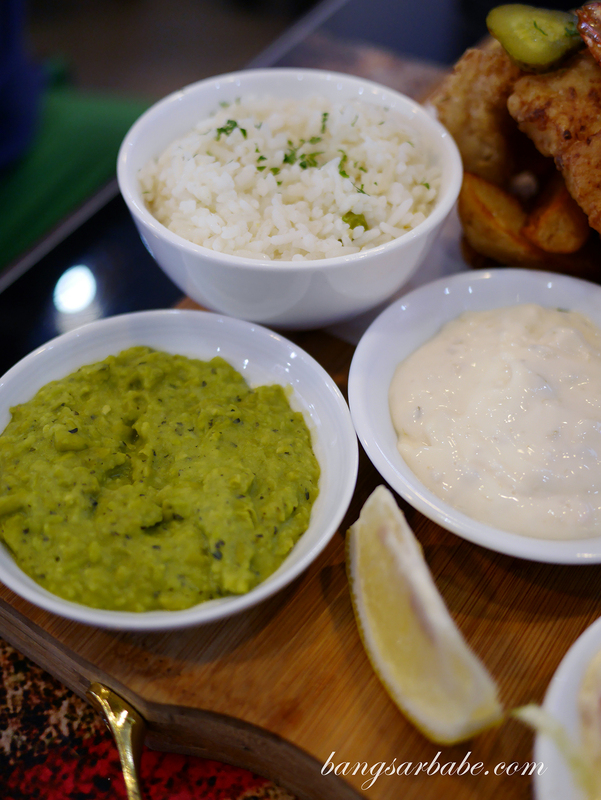 Like most proper fish and chipperies, Cor Blimey also does mushy peas and they do it well. I was pleasantly surprised when I opted for them as one of my sides. The coleslaw was decent but nothing to rave about. 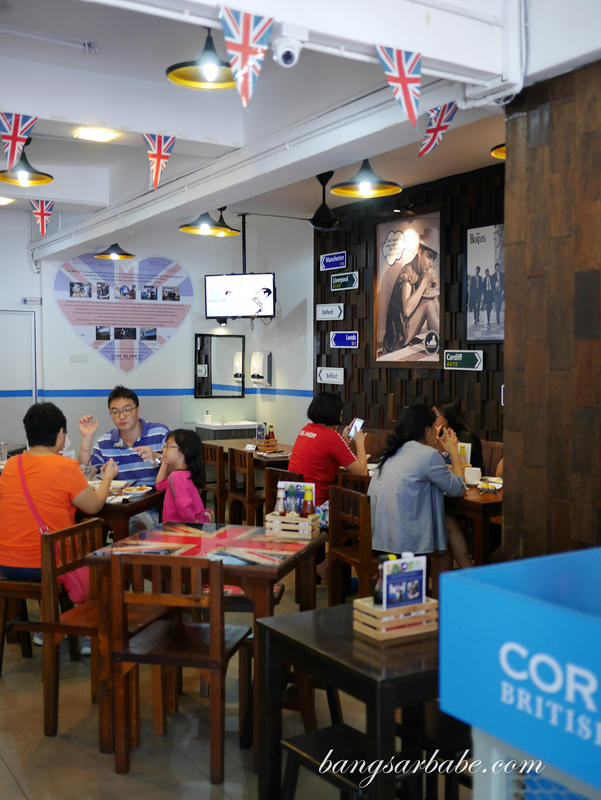 For those who are particular about their fish, there is an option for upgrade – snapper (add RM10), butterfish (add RM12), Atlantic cod (add RM18) and haddock (add RM19). I like that they do chunky chips here as most places serve thick cut fries. The latter doesn’t quite cut it for me. The fish was good. Thin, crisp golden-brown crust that went beautifully with malt vinegar. This immediately brought me back to those student days where fish and chips were abundant and affordable. Not a fan of mussels in batter though the fish fingers were quite addictive. 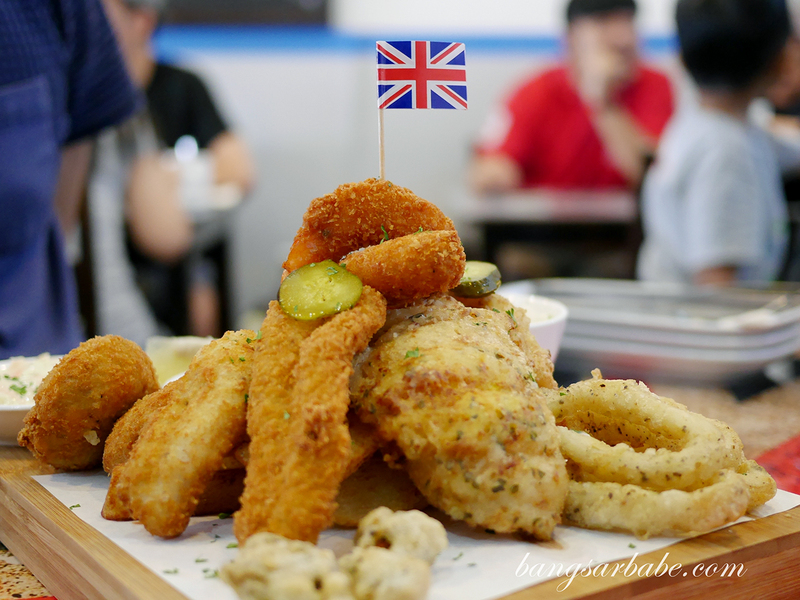 Verdict: Proper fish and chips, the English way.